Next week is the third annual P.R.I.D.E. 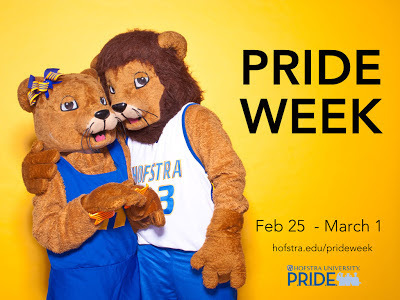 Week at Hofstra. P.R.I.D.E. Week is a week of events surrounding the University's P.R.I.D.E. Principles. Each day we will offer a variety of events around various topics and some student organizations have even gotten involved offering evening activities. Each day from 11am to 1pm in the Student Center Atrium there will be a table promoting one of the P.R.I.D.E. principles. You can stop by and learn about that principle as well as grab some swag (e.g. the memory stick Slap Bracelets or P.R.I.D.E. Week t-shirt shown below). All week as well you can Pay Your PRIDE Forward. You can find out more information on how to Pay Your PRIDE Forward including ideas on ways as a community you can begin a trend of "paying it forward". Each day at the atrium tables there will be cards available for you to take that you can give to a person when you pay it forward and promote the program while you Pay Your PRIDE Forward. During this week we hope you learn more about yourself and taking care of your community. 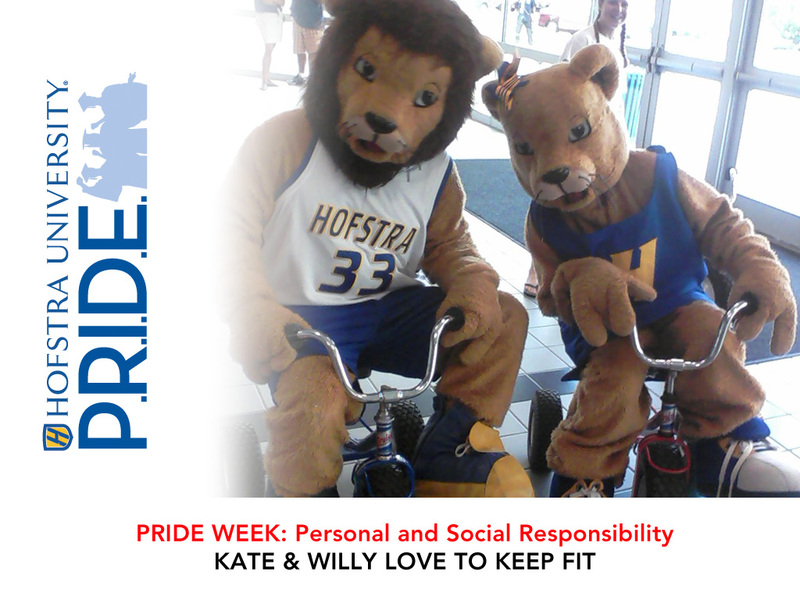 Also, look for Kate and Willy around campus promoting the P.R.I.D.E. Principles!